Lu Hsun, the revolutionary poet who is to the Chinese what Rabindranath Tagore is to Indians, will soon be rubbing shoulders with his illustrious contemporary at the Town Hall. 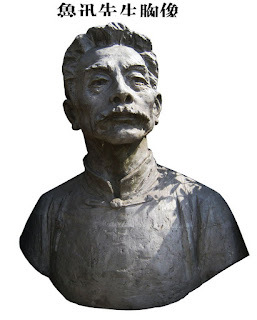 Qian Min, the mayor of Shao Xing city, will join mayor Bikash Ranjan Bhattacharya, to unveil the bronze bust of Lu Hsun. Lu Hsun defied the Chinese aristocracy, shunned the ancient scholarly language and wrote in simplified Chinese. He was born in Shao Xing city in Zhejiang province and became a cult figure in post-liberation China. The citizens of Shao Xing donated the statue to the city's Chinese community earlier this year, responding to the interest shown by Indian Chinese Association (ICA), a Kolkata-based organisation for culture, welfare and development. "The unveiling of Lu Hsun's statue will mark the beginning of a new chapter in Sino-Indian relations. While economic ties between the two countries have strengthened, culturally, there is a need to understand each other more. Lu Hsun's arrival in Tagore's city can make that cultural connect. Indians can learn about Lu Hsun and the Chinese can learn about Tagore," Chinese consul-general Mao Siwei said. ICA president Paul Chung said giving Lu Hsun's statue a pride of place in a prestigious setting as the Town Hall was symbolic of a major change in the way Indians perceived the Chinese community. "It's great to see Kolkata that has been home to the biggest Chinese community in India pay respect to the greatest literary figure in Chinese culture. This gives our community a sense of belonging," he said. That is important, given the mistrust the community had developed after the widespread arrests during the Chinese aggression in 1962. The closure of tanneries four decades later dealt another blow to the community and sparked off widespread immigration. 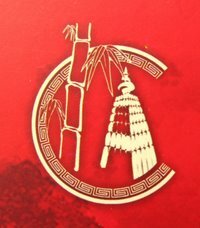 "Some Chinese felt they did not belong here. Embracing a cultural ambassador like Lu Hsun will go a long way in demonstrating the government's concern for us. It will foster goodwill and restore the community's confidence in India," said Hsieh Ying Hsing, the owner of Big Boss restaurant in Tangra. The statue has been kept at the Sea Ip Church since it arrived from Shanghai in March. It was first proposed to be installed at a park in Lu Hsun Sarani or CIT Road. After discussions with community representatives and the Chinese consul-general, the Town Hall was chosen as the venue that befitted Lu Hsun's stature.